The ability to save in a Roth 401k has been around since the Pension Protection Act of 2006. This act allowed businesses (plan sponsors) to offer employees the option to defer their after tax salary into an account that will allow for tax free withdrawals in retirement. This tax free concept for retirement plans was introduced a decade earlier with the creation of the Roth IRA in 1997. However, its use within 401k plans wasn’t allowed until 2006. Still, many 401k plans don’t make it an option for their employees. To review, the most common type of employee salary deferral into 401k plans is from pre-tax dollars. In this pre-tax scenario, the employee elects to contribute a portion of their gross pay into the plan before taxes. This allows a reduction in taxable income to the employee and thus, a lower annual tax bill. These contributions and the investment earnings are considered tax-deferred because they will be fully taxable upon withdrawal during retirement. While pre-tax contributions reduce your tax bill now, you will eventually pay tax on the withdrawals in the future. 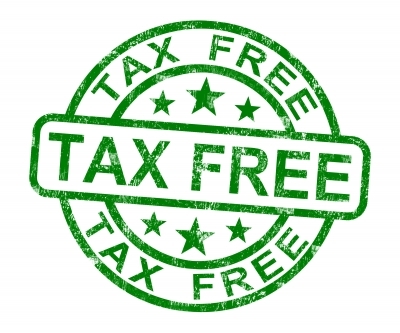 With after tax contributions into a Roth 401k, you don’t get the reduction in taxable income, but the earnings are exempt from taxation and future withdrawals are tax free! Please review my prior post titled Tax-deferred vs. Tax-free for more information on this subject. The Pension Protection Act of 2006 (PPA) simply allowed employers (plan sponsors) to make this option available. It isn’t mandatory and many employers aren’t proactive in making changes to their plan. Employers often won’t make changes unless they are required to. Other times, a little bit of nudging by key employees can help motivate employers to improve benefits. If you’re an employer or 401k plan trustee, make sure to review your plan and consider making Roth 401k options available. If your plan doesn’t offer Roth 401k contributions, you need to make sure your voice is heard and ask for it. 401k plans are not always top of mind for employers. In fairness, employers are often inundated with compliance related issues that pertain to retirement plans and other benefits. They might be reluctant to add one more layer to an already complicated plan. Despite this, be sure to talk about it with other employees and those in charge of the plan. At the end of the day, employers are well served by offering quality retirement plans to employees. Roth IRAs, the more typical and commonly known tax-free retirement accounts, limit contributions based on income. Many people are surprised to find they aren’t eligible to contribute to a Roth IRA because their income is over the IRS imposed limit. The contribution limit in 2019 is $6,000 and $7,000 for those age 50 or more. However, that contribution limit can be substantially reduced or even eliminated due to the MAGI (modified adjusted gross income) phase out range. With a Roth 401k, there is no such income limitation and the contribution limit is substantially higher than for Roth IRAs. Why is this important? If you’re not eligible to contribute to a Roth IRA, you could contribute to a tax-free retirement plan via a Roth 401k. There is a lot of confusion and misunderstanding about this. I regularly hear people say they can’t participate in a Roth 401k plan due to their income. This simply isn’t the case. It is important to remember that your 401k plan has several funding sources. Without getting stuck in the weeds, 401k is simply the section of the IRS code that allows employees to contribute their own money to their employer’s profit sharing plan. When we use the general term “401k” to describe a retirement plan, we’re really talking about a profit sharing plan. As a result, regulations require the source of funds in a profit sharing plan be tracked and accounted for. When you get your retirement plan statement, the sources should be broken out between employee contributions (salary deferral), company matching contributions, and profit sharing contributions. Be sure to get familiar with the concept of tax-deferred vs. tax-free investment accounts. Why is this important? When you elect to make Roth 401k salary contributions, the company matching and profit sharing contributions will still be tax deferred. Stated another way, the portion of your account attributable to employer contributions will be taxable upon withdrawal. Those funds are accounted for separately and will be taxable when future withdrawals are made from the account. Most retirement plans are subject to IRS rules that require individuals to begin withdrawals from their retirement plans when they reach age 70 1/2. These are known as Required Minimum Distributions or RMDs. Because Roth IRAs are exempt from the IRS RMD rules, many mistakenly believe Roth 401k plans are exempt as well. Unless you rollover your Roth 401k to a Roth IRA, you will be subject to the RMD rules. These are rollovers from the pre-tax portion of your 401k which include elective deferrals (salary contributions), matching contributions, and profit sharing contributions to the Roth 401k. This will result in taxable income in the year of the transaction. It is important to remember that just because you can do something, it doesn’t mean you should. If you are in a plan that offers in-plan Roth rollovers, there is no opportunity for a “do-over” like there are with Roth IRA conversions. With a Roth IRA conversion, you take funds from a traditional IRA (pre-tax) and then put those funds into a Roth IRA and pay the tax up front. If you change your mind, there is a period of time when you can undo the transaction and have the funds put back into the traditional IRA. This is not the case when you do an in-plan Roth rollover. If you are considering a transaction like this, you should proceed with caution. Roth 401k plans can be a great way to build a nest egg of tax-free funds for retirement. When you consider how much of your retirement plan portfolio will be taxable in retirement, Roth 401k plans deserve a close look. No one can accurately predict where tax rates will be in the future, but having a portion of your nest egg that is tax free can reduce your taxes and give you more financial options during retirement. Do you have questions about Roth 401(k) plans?